Each Isagenix snacks container include 60 chewable tablets, and available in Australia and New Zealand in mouth watering chocolate flavour. To keep things interesting you may want to try out some other Isagenix snacks including Isagenix FibreSnacks, Isagenix IsaLean Bars, Isagenix IsaDelights and Isagenix SlimCakes. All first orders come with 30 day money back guarantee! Further information here. 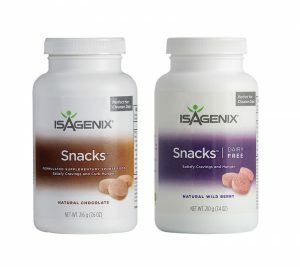 Want More Information About Isagenix Snacks?